Steve Schapiro traveled throughout America photographing and recording people and issues during the turbulent decade of the 1960s. For the very first time, American Edge brings together ninety of Schapiro's searing images-images fit to stand aside classics of documentary photography like Walker Evans's American Photographs (1938), Robert Frank's The Americans (1959), and Diane Arbus's posthumous MoMA retrospective (1972). 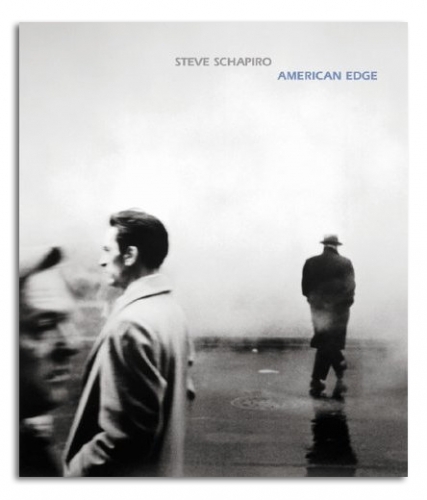 American Edge offers a singular vision of the fractured fabric of contemporary American life. The photographer traveled with Bobby Kennedy during his presidential campaign, and with writer James Baldwin through the American South. Schapiro also covered the New York art scene-documenting Andy Warhol's Factory-as well as the hippie and protest movements sweeping the universities, which culminated in the riots of 1968. American Edge reveals the increasing disparity between the rich and poor, racial and class conflict, and the burgeoning American middle class and its materialist desires. Among the countless women and men portrayed are Jacqueline Kennedy Onassis, Lyndon B. Johnson, Richard Nixon, Ike and Tina Turner, Simon and Garfunkel, Robert Rauschenberg, Janis Joplin, and Andy Warhol. American Edge represents a major rediscovery of one of the most talented documentary photographers of the late twentieth century.